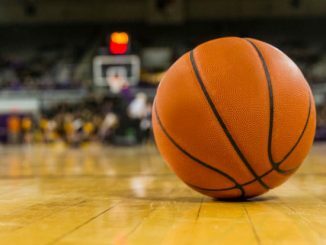 On Monday night, the Texas Tech Red Raiders will face off against the Virginia Cavaliers in the NCAA Tournament Championship Game in Minneapolis. Texas Tech is now 31-6 on the year and was the 3-seed in their region. Virginia is 34-3 on the season and was the 1-seed in their region. 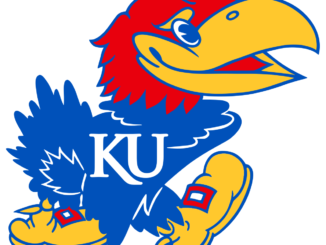 Texas Tech dominated Michigan State in their Final Four game, winning by a score of 61-51. They allowed just 21 points in the 1st half en route to the 10-point victory. Matt Mooney led the way with 22 points on 8 of 16 shooting to go with 3 rebounds and an assist. Jarrett Culver was the only other Red Raider in double figures with 10 points on just 3 of 12 shooting to go with 5 rebounds and 2 assists. Norense Odiase led the way on the glass with 9 rebounds to go with 2 points and 2 assists. Virginia had a tougher time in their Final Four matchup, beating Auburn 63-62 in a controversial game. Virginia led by 10 with 5 minutes left, but Auburn stormed back to take a lead and was up 4 with 10 seconds to play. Kyle Guy hit a 3 and then was fouled shooting a 3-pointer with 0.6 seconds to play and would hit them all for the win on the most controversial call this season. Ty Jerome led the team in every category, scoring 21 points on 8 of 16 shooting to go with 9 rebounds and 6 assists. Kyle Guy scored 15 points to go with 3 rebounds, and 2 assists and Deandre Hunter chipped in 14 points, 5 rebounds, and 2 assists. 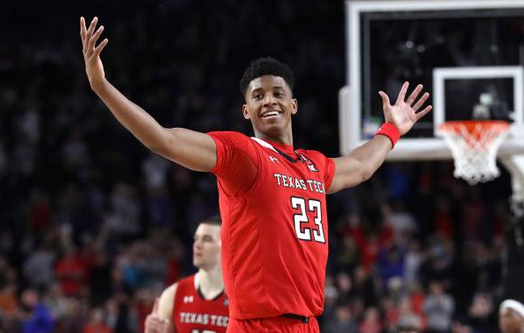 Sophomore superstar Jarrett Culver does it all for this Red Raider squad. He leads the team in all three major statistical categories. He scores 18.6 points, grabs 6.3 rebounds, and dishes out 3.7 assists each game. He is followed by Davide Moretti and Matt Mooney, who are averaging 11.4 and 11.3 points per game, respectively. Moretti is shooting 45.8% from deep. Tariq Owens adds 8.8 points and 5.8 rebounds a game and is probable for this one after leaving early with a leg injury last game. The offense has been solid for Texas Tech this season, averaging 73.1 a game and are shooting 47.2% from the floor and are allowing 58.8 points a game. Virginia is led by Kyle Guy, who averages 15.2 points per game to go with 4.5 rebounds and 2.1 assists. He is followed by Deandre Hunter, who scores 14.9 a game, and Ty Jerome, who adds 13.5 a game. Guy is shooting 42.5%, Hunter is shooting 42%, and Jerome shoots 40.1% from beyond the arc. Jerome is also the leading assister with 5.4 a game. Braxton Key leads the Cavaliers in rebounding with 5.1 a game and chips in 5.6 points per contest. Virginia has once again been the best defensive team in the country, allowing just 55.5 points a game, and the offense has been solid as well. Virginia is scoring 71.8 a game while shooting 47.8% from the floor. Virginia comes in at -1.5. This will be a defensive slugfest as both of these teams have relied on their defense all season long. Virginia has had some close games all tournament while Texas Tech has had easier games. Virginia barely escaped Purdue and Auburn, but have made it here, nonetheless. Virginia is the better team by far and has been one of the top teams all season long. I think the Cavaliers will shut down Culver in this one and win it all after being the first 1-seed to lose to a 16-seed last season. Take Virginia -1.5.